The views of sailing junks navigating past over 3,000 limestone islands and outcrops jutting out of the clear and emerald water of the bay are nothing short of spectacular. After breakfast on board we continue cruising and make stop for second paddle. We circumnavigate the island, observing some secluded lagoons and enjoying last swimming opportunity. In late morning we regroup at our escorted boat for two hour cruise to Halong Pier. Here we meet up with out waiting for vehicle for return journey. Overnight in Hanoi. We leave for Mai Chau very early. Arriving at lunchtime, enjoy a cooked lunch at a local Tai village house before setting off along a spectacularly beautiful river valley towards Hoi Xuan along an undulating tarmac road. (Old highway 15A) The road follows the flow of River Song Ma. This is an old supply route of the HCM Trail that fed the main trail with ammunitions during the American War with Vietnam. Overnight at the edge of Pu Luong Nature Reserve in a traditional Thai village homestay, part of an ecotourist community project set up by Fauna and Flora International in 2003. Overnight village house on stilts. An early morning start to beat the heat of the day. The route takes us away from the river and appears to contour through the same range of mountains that stretch from Mai Chau to Cuc Phuong to Hoa Lu. The road gets more beautiful the closer you ride to Ngoc Lac with looming karst limestone cliffs and lush vegetation. The route is tarmac all the way, but quite hard riding due to the undulating terrain. Overnight in local hotel Ngoc Lac. Ride for the first time on the newly built two lane Ho Chi Minh Highway. It hardly warrants two lanes as there is no traffic! The road makes for smooth fast riding, and for those who prefer there is always the old highway dirt and gravel - that weaves around the new highway allowing for plenty of exploring possibilities along the way. Ride to Muc Son, on the banks of River Song Chu. On the outskirts of this small town are the famous Kan Linh historical relics - a pagoda where the first king of the Ly dynasty, Le Thai To, ruled, in 1428. Continue riding on the trail to Yen Cat. The distance covered today is quite long and there will be the chance to transfer some sections by the back-up vehicle to rest weary legs.There are fewer villages today as the route cuts through forests and jungle. Picnic lunch en route. Overnight Thai Hoa guesthouse. 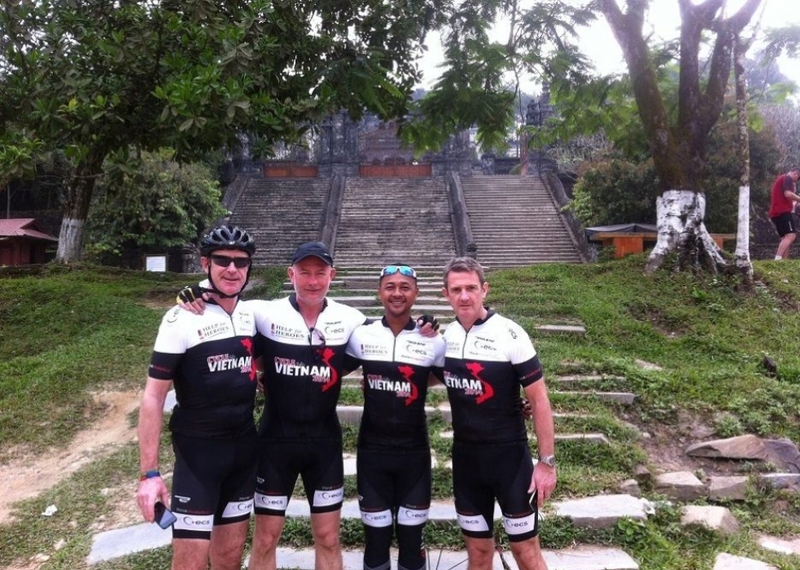 Continue riding the incredible Ho Chi Minh Trail. Have lunch in Lat town. In Kim Lean visit the famous museum and birthplace of Ho Chi Minh in 1890. This province has a reputation for producing charismatic revolutionary leaders; not only Ho Chi Minh but also Phan Boi Chau – another fervent anti colonialist -was born here. Overnight in Nghe An Town. 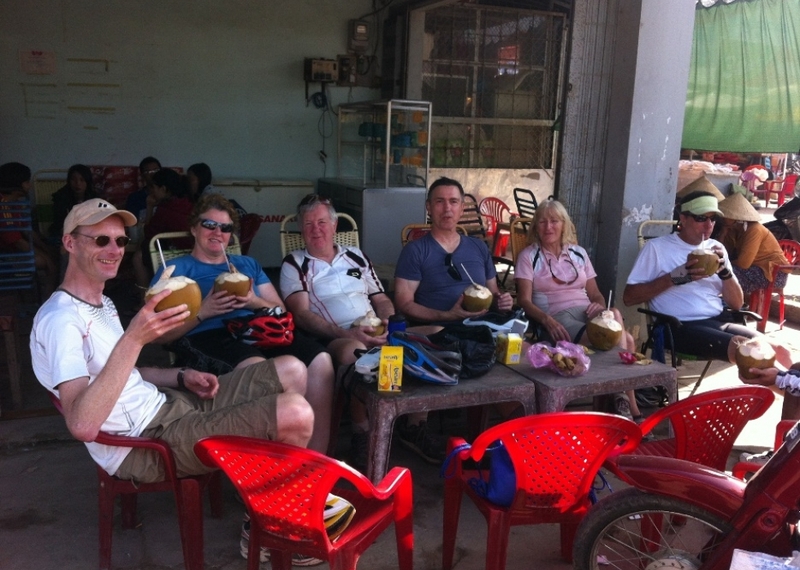 After a relaxing breakfast continue riding on the Ho Chi Minh Trail. The trail is still a dream to ride on. Again there is virtually no traffic. Transfer if tired in the afternoon to Huong Khe for overnight in a local guesthouse. From Huong Khe the mountains rise and the road winds up, down and along the hillsides. The scenery is spectacular, the road tranquil. 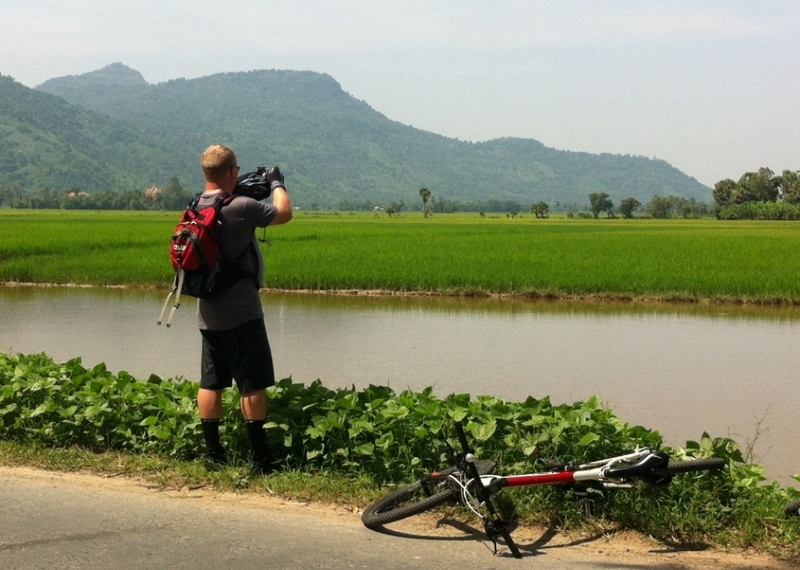 Ride up to 80km then transfer the last few km to Phong Nha National Park. The park contains one of the most spectacular caves in Vietnam, It is a true speleological wonder. Visit the cave by boat then wander through the cavern, past the foundations of ancient Cham ruins. Pause to admire the incredible formation of stalactites and stalagmites. Formed approximately 250 million years ago Phong Nha was used as a hospital and ammunition depot during the war, the entrance still showing evidence of fighter aircraft attacks. There are community projects underway with Flora and Fauna International and it may be possible to visit village initiatives and learn more about the forests of the National Park. Overnight at the National Park. Explore Phong Nha Cave in the early morning. 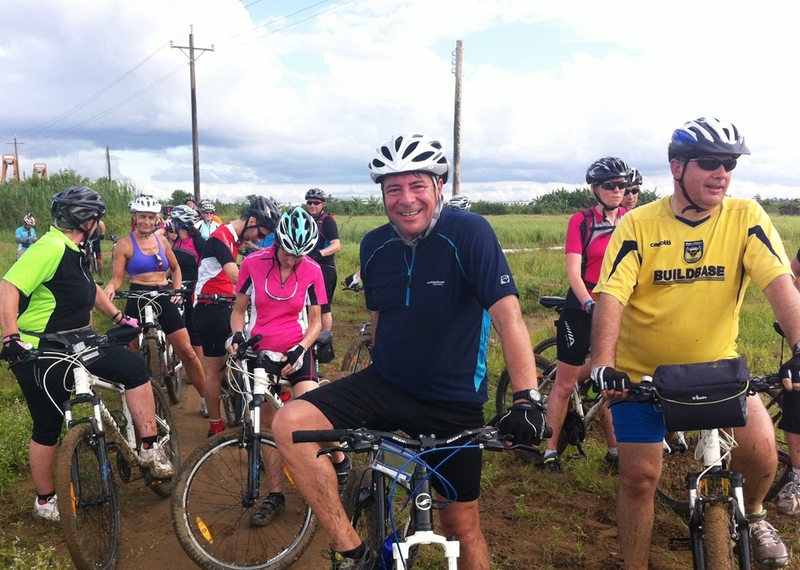 Continue riding on the Ho Chi Minh Trail across the DMZ (better known as the 17th Parallel,) to Cam Lo. The road is now quite flat and makes for good cruising! Stop en route to visit Truong Son Cemetary, a memorial to the tens of thousands of North Vietnamese soldiers who were killed in the Truong Son Mountains along the Ho Chi Minh Trail. 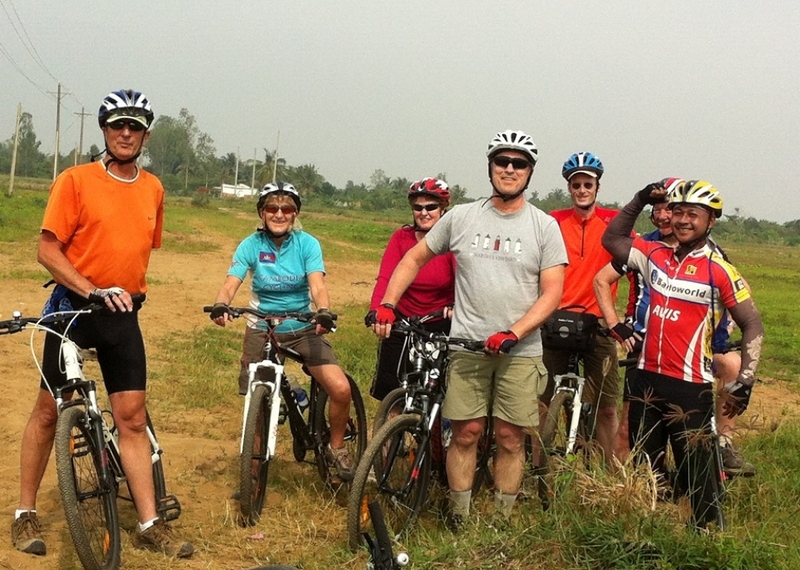 Fourteen miles further on is the town of Cam Lo – the Trail here intersects a strategic feeder road (H9) from Dong Ha and at this junction part of the Ho Chi Minh Trail heads across country into Laos. 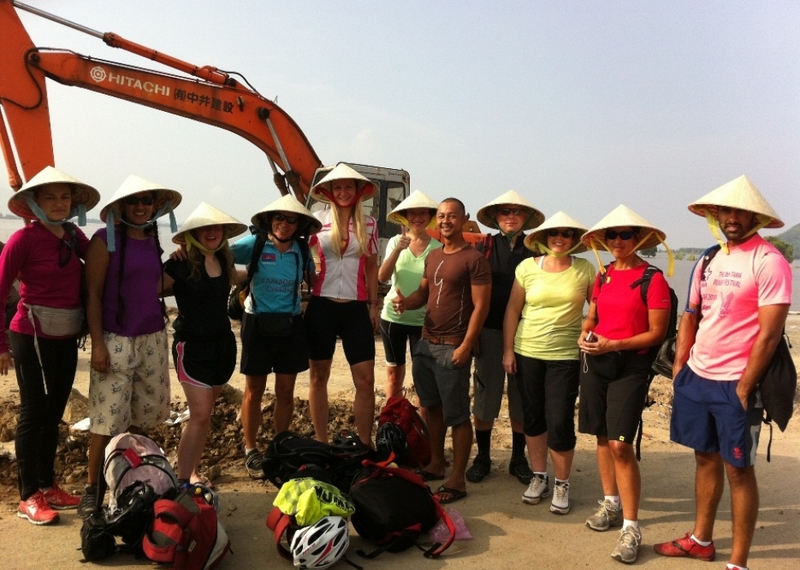 We finish our exploration of the Ho Chi Minh trail here. This is where we end the cycling section of the Ho Chi Minh Trail. Transfer to Hue visiting war relics en route. Overnight Hotel in Hue. Hue was the capital of Vietnam under the Nguyen Dynasty of emperors from 1802 till 1945. 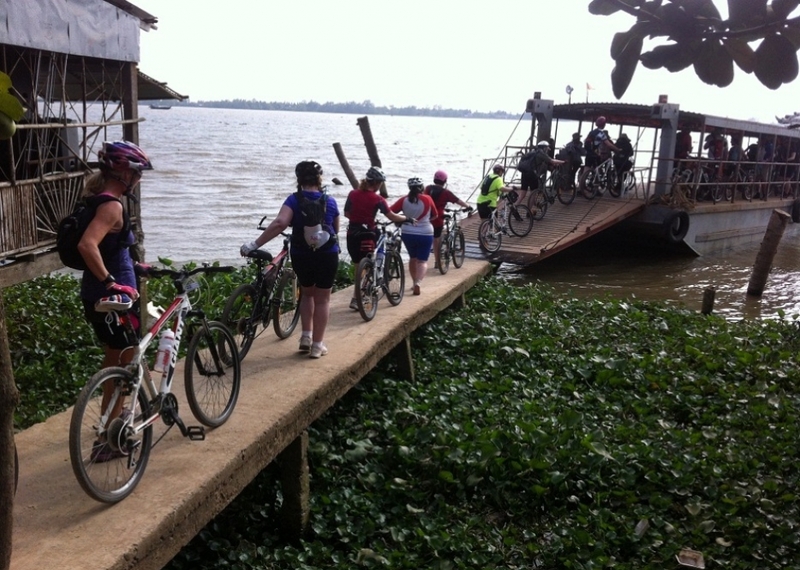 In the morning cycle to the elaborate mausoleums of Emperor Tu Duc and Khai Dinh along the banks of the Perfume River . Leave Hue in the afternoon for the ancient trading port of Hoi An 120km to the south via the spectacular Pass of Ocean Clouds . Arrive in Hoi An late afternoon and transfer to hotel. Overnight in Hoi An. 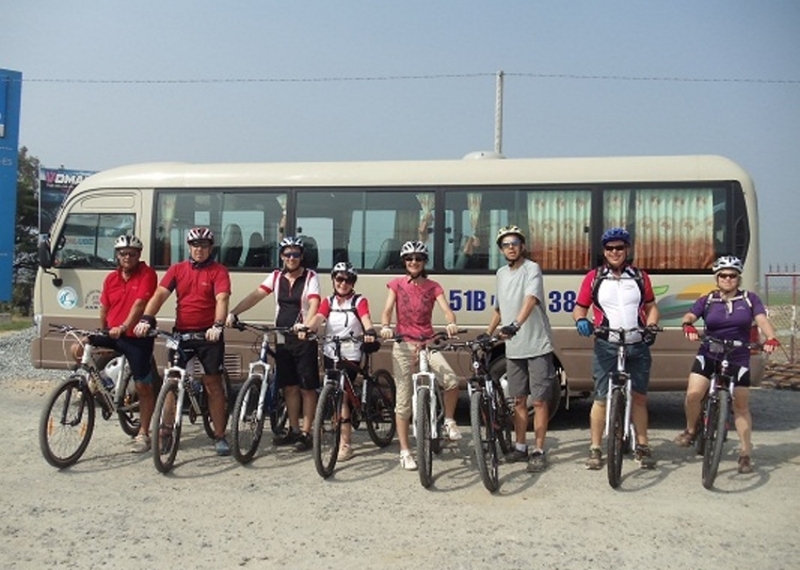 Leave Hoi An after breakfast and cycle to the sacred Marble Mountains where caves contain dozens of Buddhist shrines. Stop off at Da Nang to visit the famous China Beach , once a \'rest and recreation\' resort for American servicemen. 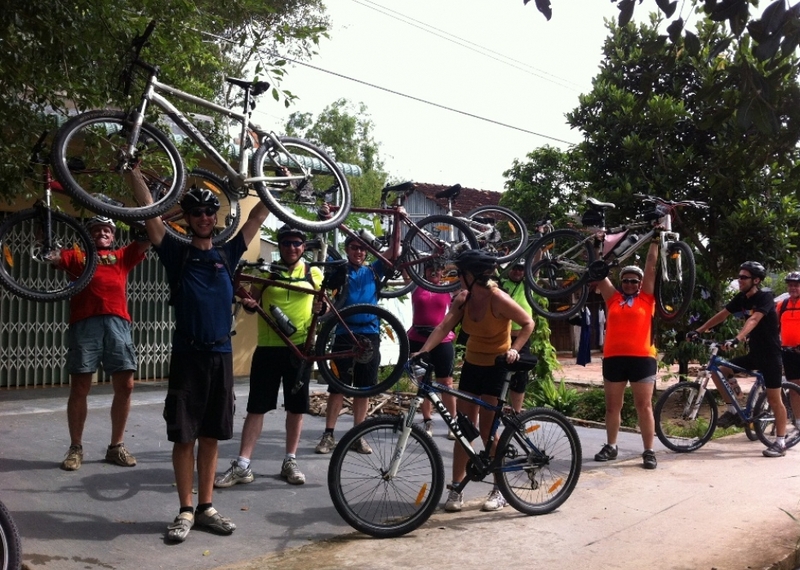 Return to Hoi An for lunch and spend the afternoon discovering the delights of Hoi An\'s historic town centre or perhaps cycle to Cua Dai Beach 5km away. Overnight in Hoi An. Continue down Highway one by bus and bike to Vietnam \'s premier beach destination, Nha Trang. Overnight in Nha Trang. A morning free to relax at the beach or perhaps explore Mui Ne and its spectacular sand dunes. Leave after lunch for passing through dense rubber plantations before reaching Bien Hoa and the outer suburbs of Ho Chi Minh City . Transfer to hotel on arrival. Overnight in Ho Chi Minh City .